It’s hard to be a ballet fan in the Bay Area at this time of the year. While the San Francisco Ballet season starts only in January (which effectively means there has been no ballet over here since May), we keep getting news of tantalising balletic events around the world, with the jumbo MacMillan festival that just closed in London, a new Ratmansky at ABT, and Diana Vishneva’s festival, CONTEXT, currently on in Moscow and St Petersburg, and featuring choreography by names like Wayne McGregor, Justin Peck and Sidi Larbi Cherkaoui. For those of us in the Bay, the solution is either to travel or to get into dance on film, be it via live relays or traditional dance movies and documentaries. One example is this Monday’s screening of Polina, the movie based on the well-known graphic novel by Bastien Vivès and directed by Angelin Preljocaj and Valérie Müller. One of the fascinating things about this story, which I am very much looking forward to watching, is the fact that Polina, a Russian dancer who is full of promise, makes the move from classical to contemporary so early in her career. When we held the first CONTEXT festival back in 2013 we could not even imagine how quickly it would grow from a three-day festival to a whole week dedicated to dance and movement in Moscow and St. Petersburg, filled with an ambitious international program, educational lectures and sessions, dedicated workshops, a film program and, of course, a competition for young choreographers. Our festival is a living system similar to contemporary choreography itself: it’s a mirror that reflects all the changes in the modern world, absorbs everything new and transforms it for the Russian audience. The key event in the history of the festival was the arrival of the legendary Martha Graham Dance Company. The company was established by one of the founders of the modern dance movement, which has grown into a broad and strong dance genre. Until relatively recently, Graham’s name was not very well known in Russia and for its 90-year history, her company had never been to our country. So we decided to change this! The excitement around the company’s arrival was incredible, with the media reporting that the festival had left its mark in the history of modern Russian choreography. It was certainly very pleasant to hear, as we had put so much effort into it. It’s beyond words to explain. And it’s even more pleasant to see how much Graham’s name has begun to gain prominence in Russia, her autobiography has been recently translated and published. I hope that one day the Martha Graham Dance Company will visit again. The most important thing for me is that the original idea of ​​the festival – to support the development of modern choreography in Russia, help emerging choreographers and treat the Russian audience to works of leading international dance companies – has evolved into this concept that unites the knowledge of modern dance in all its variety, a place where you can freely communicate with both the young choreographers and such renowned masters as Mats Ek and Hans Van Manen. It has always been important for me to erase boundaries and make professionals and amateurs feel free to create in one space, most importantly, to get enriched with new impressions of what modern dance can convey. Especially now, when Russian interest in modern choreography is on the rise. Our viewers have already become much more proficient dance lovers. The art of dance is now highly promoted, there have been many books published on contemporary dance, lectures and meet-the-artist sessions with Russian and foreign dancers and choreographers are constantly taking place. CONTEXT has already showcased about 12 premieres of works by young Russian choreographers, and we have managed to discover new names: Liliya Burdinskaya founded her own dance company. Konstantin Keykhel and Pavel Glukhov created a new ballet for the students of the Boris Eifman Ballet Theatre, which will see its premiere at the festival. Konstantin has also staged a full-length ballet for the artists of the Leonid Yakobson Ballet Theatre. There’s also Olga Vasilieva from St. Petersburg, who won last year’s competition and is currently preparing a new production for us together with Israeli dancers from the “Maslool” – Professional Dance Program. Further, the winner of the first competition of young choreographers, Vladimir Varnava, is now staging performances for major Russian theatres. This spring, I made my debut in his ballet Petrushka to the music of Stravinsky, which we are also reviving at the festival this year. What is your take on the ever-narrowing gap of the classical and contemporary worlds? Let us know below in the comments section. Diana Vishneva’s CONTEXT is taking place in Moscow this week until 15 November, and in St Petersburg 16 to 19 November 2017. Polina, directed by Angelin Preljocaj and Valérie Müller, is being released in theatres around the globe this year. Very interesting to hear about young new Russian choreographers! But I wouldn’t write off the San Francisco Bay Area ballet scene at this time of year – there are ample joys to be found in the seasons of Smuin Ballet, Diablo Ballet, and Post:Ballet. Marika Brussel just premiered an evening-length ballet about homelessness at the ODC Theater. 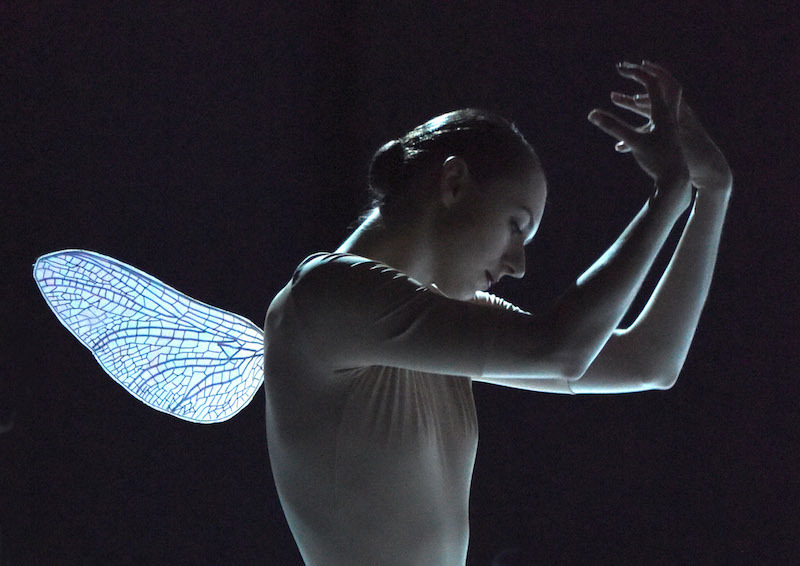 West Wave Dance Festival recently wrapped a program curated around the musical nocturne. Amy Seiwert and others inaugurated YBCA’s new ‘Transform’ festival. And even more being done in the contemporary and dance theater spaces, often with ballet dancers. Yes, the Bay Area dance scene is pretty much hopping year round.